HAPPY NEW YEAR fellow foodies !! 2014 was a busy year with many personal events that have made the year what it was. For our blog as well this was a busy year, certainly our most productive one yet with over 70 blogs and several notable recipes we are very proud of. At the turn of the year we decided to celebrate all that happened by making something which everyone loves - chocolate! 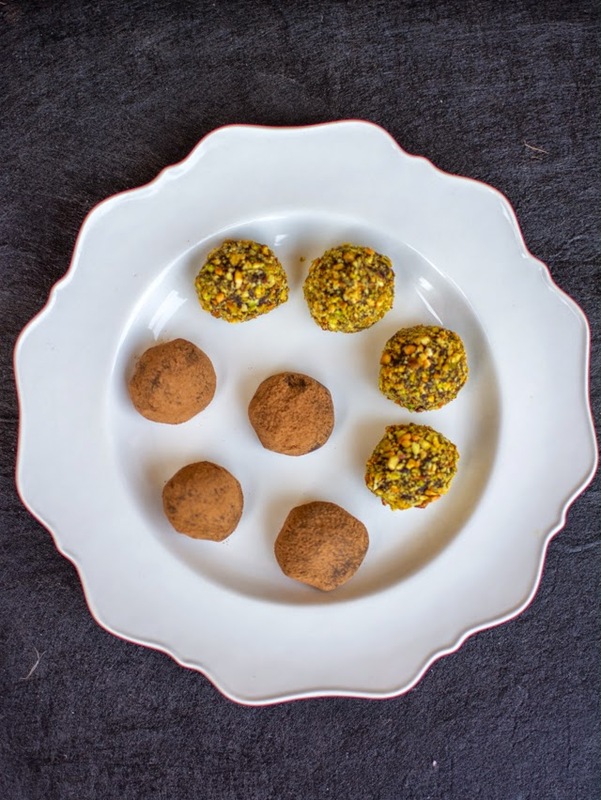 We made these delectable chocolate truffles. This is a really simple recipe with very few ingredients. It is something that can be adapted to make many variations. 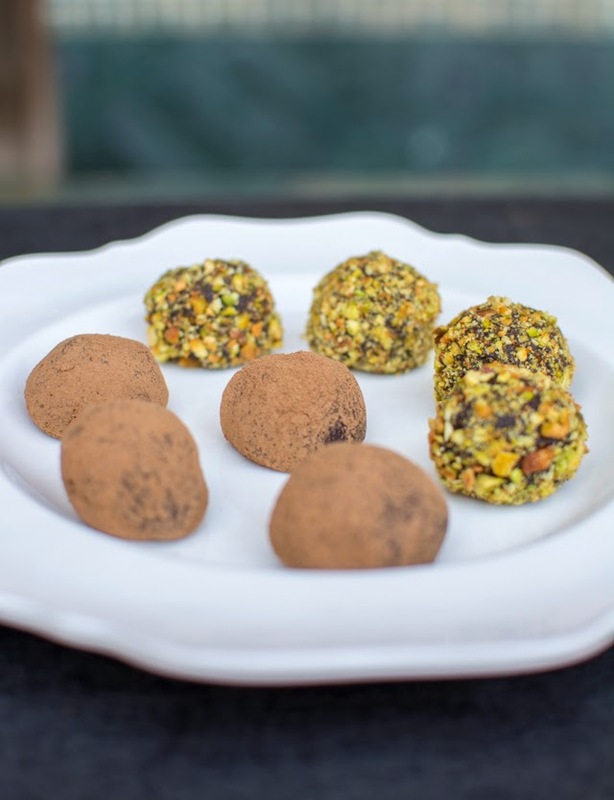 The quality of truffles is directly dependent to the quality of chocolates used as base and hence find a good quality cooking chocolate. 1. 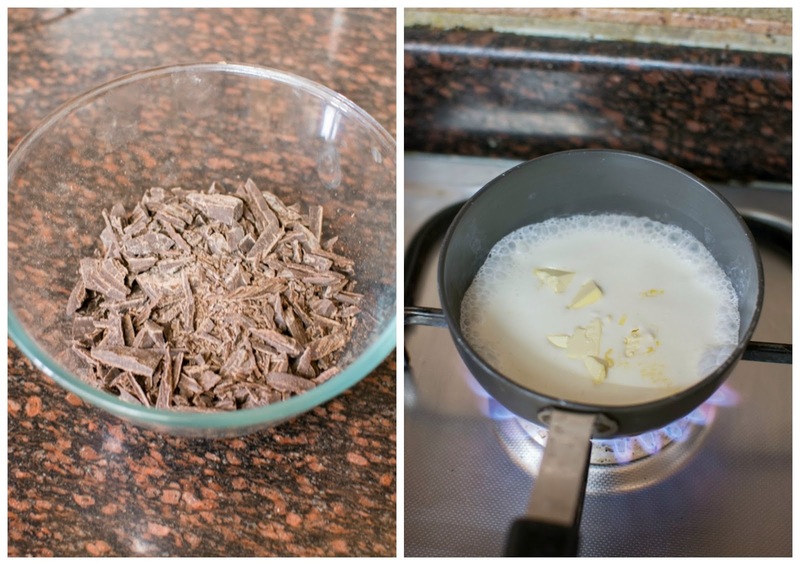 Finely chop chocolate in a bowl. 3. 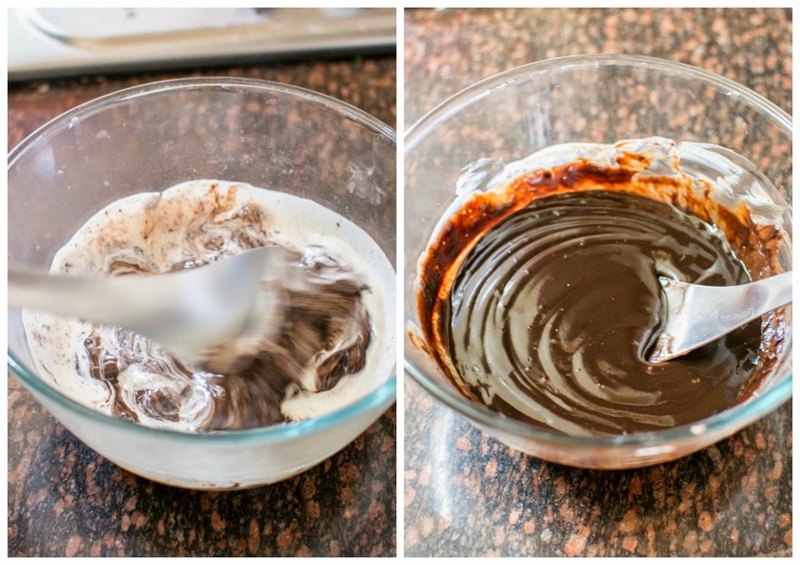 Mix chocolate with a stirrer till it completely melts. Heat in microwave for about an min if required. 4. Let it cool down and then keep it in refrigerator for at least 2 hours for it too cool down properly. 5. 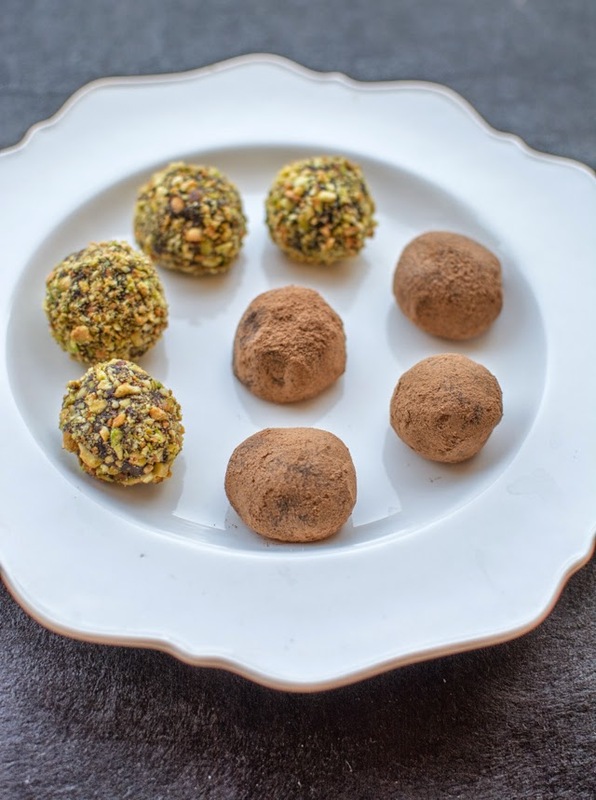 Use a melon baller to scoop out chocolate and make uniform balls. 6. 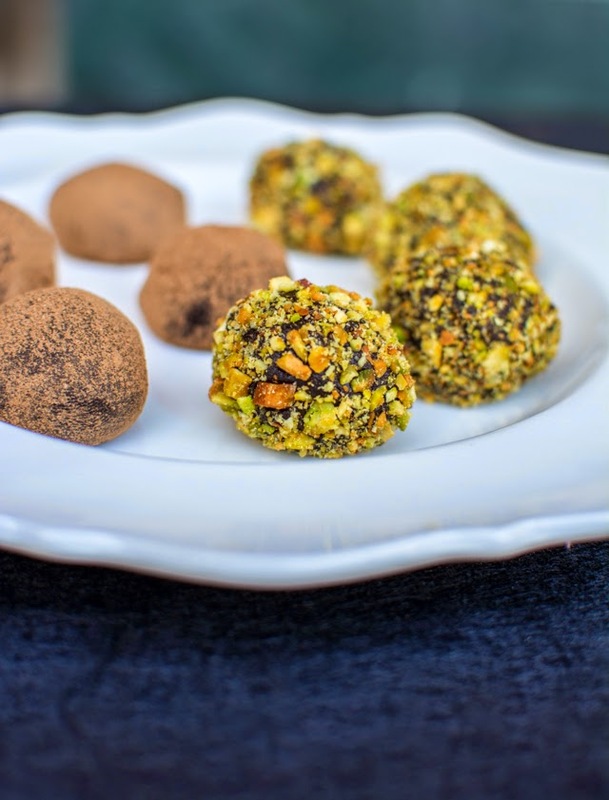 Roll these balls in crushed pistachios or cocoa - coffee powder mix. 7. 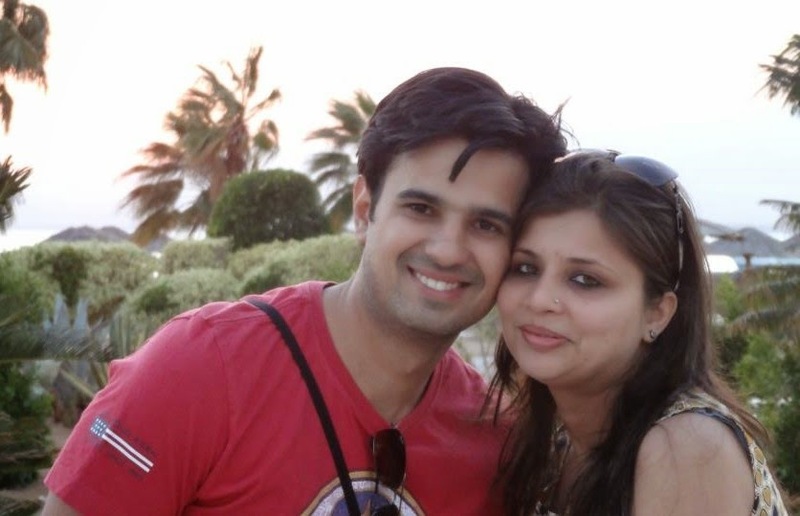 Save them in an air tight container and keep it in refrigerator.